When Sarah Hall arrived to run Rwanda's oldest national park in 2010, its rangers could barely cope with poachers who were trapping hippos in snares for food. The rhinos had vanished. The lions had been wiped out. 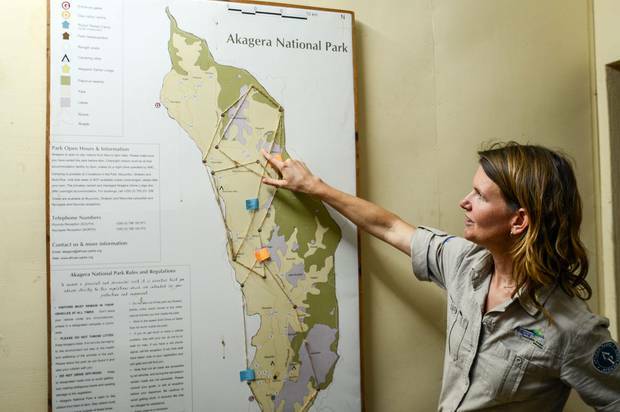 "It feels like a very different place from nine years ago," said Hall, who manages Akagera park together with her husband, as she stood near a fenced enclosure holding motorbikes seized from poachers and hundreds of rusty snares. Akagera is one of the biggest success stories of African Parks, an unusual not-for-profit company that's been mandated by nine governments in Africa to take over complete management of some of their reserves. On a continent where wildlife conservation is often a low priority, African Parks is the only non-governmental organisation to run national parks. It oversees more than 24.7 million acres in some of the most inaccessible places, from lawless Central African Republic to floodplains in the far west of Zambia. It also operates the largest anti-poaching force of any private organization in Africa, with almost 1000 rangers, and builds lodging for visitors that range from basic rooms to $1900-a-night luxury tents. 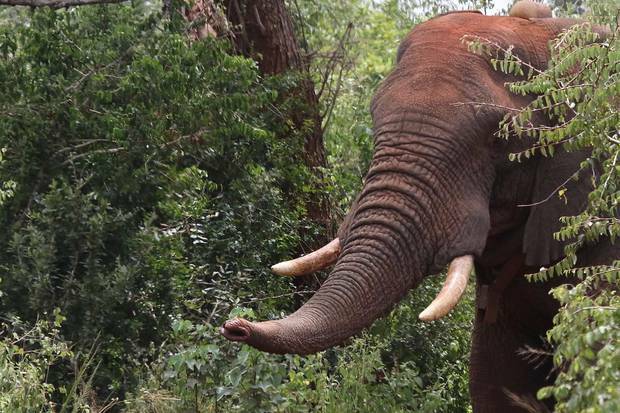 That, and the reintroduction of big animals, has helped boost tourism in unlikely places such as Chad, which attracts the super-wealthy with a remote safari camp in the vast Zakouma national park that's fully booked until 2021. "Tourism to Africa is still primarily about nature and wildlife," Peter Fearnhead, chief executive officer of the company, said in an interview in Johannesburg. "What we try to do is build an economy that's directly linked to conservation." It's an approach that's been criticized by some activists, who say the fencing-off of land and the increased use of heavily armed rangers to protect wildlife points to the militarisation of conservation and criminalises people who traditionally hunt for food. "The huge conservation organizations have a colonial model of conservation and scapegoats local people, who are hunting for the pot as they have always done, as poachers," said Fiona Watson of Survival International, a London-based advocacy group. 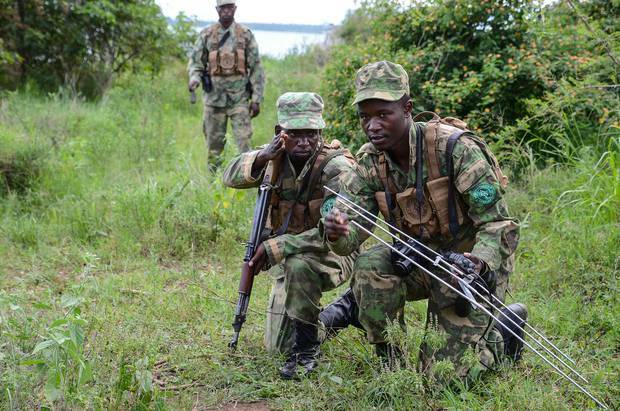 In contrast, arrests in Akagera dropped to 19 last year, and there hasn't been a gunfight since two rangers were killed by hippo poachers in 2010. Funded by charities and philanthropists in Europe and the U.S.-Akagera was recently given a helicopter by the Howard Buffett Foundation-African Parks got its start in Malawi and Zambia in 2003 following three years of negotiations. Today, it runs 15 national parks in southern and central Africa and is expanding into West Africa, including Pendjari in Benin, a UNESCO World Heritage site and host to the critically endangered West African lion. Following the example of Rwanda, which contributes financially to Akagera, Benin has pledged $6 million over the next five years to help fund the restoration of Pendjari. "This model is beginning to develop where countries learn from other countries that there is a value to their park, so much so that they are prepared to invest in it themselves," said Fearnhead, a Zimbabwe-born resource economist who co-founded the company with four others. The goal is to manage areas big enough to reintroduce species that had disappeared, necessitating areas no smaller than 70,000 hectares. Income from tourism is still small compared to African Parks' budget of $45 million, which comes largely from donors. At Akagera, tourism revenue increased almost ten-fold from 2010 and was on track to reach $2 million last year on a budget of $2.7 million. Some, including Akagera and Majete in Malawi, should eventually become self-sustainable, according to Fearnhead. At the same time, the tract that's most threatened by poachers, Garamba, generated only $50,000 in 2017. Akagera's most exclusive lodge can host a maximum of 20 people in inconspicuous green luxury tents connected to the main thatched-roof bar area by elevated wooden pathways shaded by trees. On a recent night, a couple from the U.S. was dining by the light of a lantern on three courses that included stuffed mushrooms and steak, seated in the cool breeze of a wooden deck with a sweeping view of one of Akagera's lakes, the sound of wheezing hippos in the background. While the cheapest room is $195 per night for non-residents, the lodge is often full. "I'm from the community; we are the ones who used to not really care about the park," Ntabana said. "I could see it before and say, this land is good for grazing cattle and I couldn't mind about the animals who live there. But since I started earning money from the park, I know the importance of conservation." There have been other benefits for the community, too. Since the government completed the fence in 2013, buffaloes and elephants no longer destroy farmers' crops. Given the pressure on land, fences are sometimes the only option, said Hall's husband, Jes Gruner, a conservationist who grew up in Malawi. "When we first came here in 2010, there probably was at least one person killed per month by a hippo and a couple more injured by buffaloes," he said in a small office with radio equipment and a display of snake skins. "We were constantly chasing our herd of elephants who were eating their crops. Now, we're increasing the bond with communities, so that they say, making Akagera stay is in the long run better for us."